The latest, and last, version of the Strands of Power playtest doc has been released to playtesters. I'm not sure how many beta testers we'll accept just yet, but it'll be on a first come, first served basis. So get your email in quick. To be clear, much of the reason for the beta is to catch typos, math errors, etc. You don't need to be playing in a game right now to give helpful feedback for the beta. Also, several of the emails I've received thus far have been of the "please pick me" variety, some of which go into details about why they'd be a good tester. I just want to say that it's really not necessary. All I need from you at this point is an email address, and the best way for me to get that is for you to send an email to the above address. Feel free to say whatever you want in it, but what you say will have no bearing on whether or not you are selected. It'll literally be the first X number of people, whatever that X turns out to be. But if you need a topic for something to write in the email, I'd love to know how you heard about Strands. The beta test has gone live. If you applied, check your email. Also remember to check your spam folder if you don't see anything. We are no longer accepting applicants. 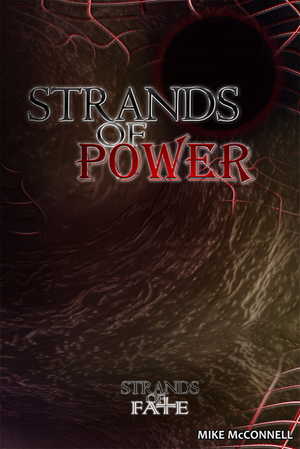 Strands of Power now Available!